Smashwords’ End of 2017 Sale! What do you think? 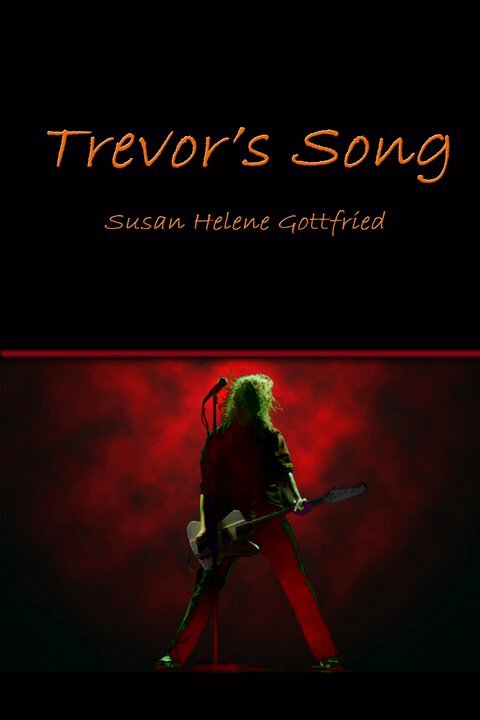 Does Trevor’s Song need an updated cover? I always encourage my clients to wait until January or even February in a new year to publish their book, because while the “People get new e-readers for Christmas and need something to read” is a sound strategy, experience has taught all too many of us that indie titles tend to get shoved down on visibility lists in favor of more established authorial names. That can sink a person’s book, and fast. So, yeah. From now until January 1, you can pick up any number of great reads — old and new, within the bounds of familiarity and without — for free or discounted prices. And yes, some books will still be offered at full price. Some. Not mine. 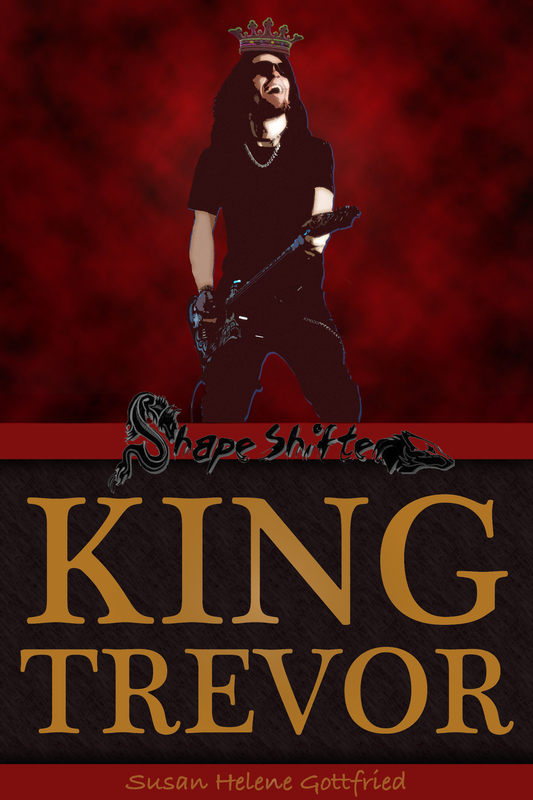 If you’ve ever wanted to read anything I’ve written, my faves of the bunch are Trevor’s Song, Demo Tapes 1, Demo Tapes 2, and Broken. If you’ve got those four and want more, here’s the link to my profile. Wouldn’t it be nice to see a longer list of books at the end of 2018? That’s one of my many goals. It’s that time again! The Smashwords Summer Sale! I know I’ll be perusing the offerings and loading up my ereader with books I’ll stress about not reading in a timely fashion — why don’t you join me? We’ve got all month for this ebook goodness, so c’mon! Let’s get some deals! If you haven’t caught up on the Trevolution, all my books are FREE this month. Go pick ’em up. Of course, you know by now I’m a HUGE champion of the value of reviews, so be sure to say thanks for the freebie by leaving a review. At Smashwords, at GoodReads, at that big behemoth of a bookseller that sells more than just books these days and now runs the national economy. You know who I mean; the point is that it doesn’t matter — leave a review! Yes, even a negative review helps, so be kind if you need to, and be as constructive as possible. Some of us only read 1- and 2-star reviews! That, of course, extends to my own books. But really. You’re not going to find 1- or 2-star reads on my page. Nope. Susan’s Book Talk: It’s That Time of Year Again! It’s that time of year again! It’s Read an e-Book Week, and since my books are old (and could use some new reviews to freshen them up), they’re all free this week. And remember: nothing says thanks for the freebie like a few words of review. It doesn’t have to be a lot of words. Even “I loved this!” helps a lot. But if you’re feeling brave, go and tell us why. Happy reading this week! Me, I’ve got a print book on loan from the library. How’s THAT for crummy timing? It’s Read an E-Book Week! And, as I do every year, to celebrate, I’ve discounted all my books so you’ll be extra tempted to pick them up and join the Trevolution. My catalog is getting bigger, deeper, even though I’m doing more editing than writing these days. The best part of this new age of publishing, I think, is that your books can be on sale forever. They never go out of print. And weeks like this are perfect for reminding you of that. Older, newer, it doesn’t matter. You can pick them all up at Smashwords and whoa, Nelly! Look at that discount!! Yes, even my newest release, not even six months old yet. 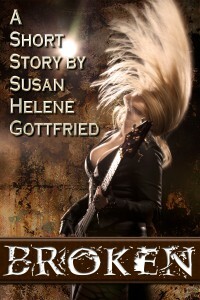 Broken, the short story you just gotta read. So what are you waiting for? Go get some copies and read an e-book this week! 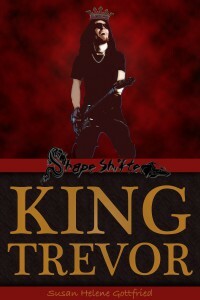 As an experiment, I’ve enrolled both Trevor’s Song and King Trevor in the Kindle Matchbook program. I have reservations. I’m not a huge Amazon fan, and print sales are … well, quite stagnant. I get it: most of my readers are e-book readers. You guys don’t want print copies. That’s why I’m skeptical of the entire program. But… nothing ventured, nothing gained. And at the very least, it’ll give me more information the next time a client asks me about it. Go on. Prove me wrong. Make this worth doing. Probably not, as it’s not quite live at all the various retailers. Start looking, though. 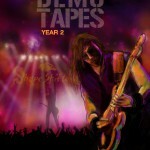 I’m talking about the new cover for Demo Tapes: Year 1. Yep, that’s it. Another cover done by the amazing Lakota Phillips, and I don’t know about you guys, but in this cover featuring Little Trevor, I see all the loneliness and isolation he must have felt before he grew up and learned how to take on the world. Print copies will be coming as soon as I get off my overworked duppa and reformat and upload. Stay tuned. As I’m working on the new look for West of Mars, I’m doing some surfing and checking outÂ my own books at the various retailers. I was in the Kobo store when I noticed that Trevor’s Song is listed as both fiction and non-fiction, at least in terms of in-store rankings (and that it’s ranked higher in non-fiction). It’s a flattering thing, really, that people think Trevor Wolff is a real character. After all, as a writer, that’s my aim: to create characters who live and breathe. Somehow, though, I never meant it to be taken quite like this. It’s coming. Just a delay because we’re going to put new covers on Demo Tapes 1 and 2 and bring you Demo Tapes 5. They’re all being professionally formatted, too, so they’ll look better on your readers. Print versions will follow at some point. I’m not sure when. And I’m not sure when the special surprise will follow, either. Truth is, not only have I asked a lot of my cover designer and my formatter, but I’ve been kind of unmotivated this year. I’m so focused on editing and other behind-the-scenes the work here at West of Mars that my own writing has fallen by the wayside. I’ve learned an invaluable lesson about my writing, and I’ll bring that to you in a longer, more thoughtful post that any of you are free to send to Passive Guy. Hang tight. More Trevor and Mitchell is on the horizon, and I particularly like Demo Tapes 5. But then, I like them all. While DT1 is still my all-time favorite, it’s hard for me to choose the runners up. Go and weigh in with your favorites — both collection and outtake — in the comments. I’d love to hear what you have to say. Read an E-Book Week Freebies! As is my tradition, I’ve set my entire catalog to FREE this week in honor of Read an E-Book Week, an annual event that just might be at the end of its life as a promotional tool. But gosh darn it, it’s still fun! When I joined my first Read an E-Book Week five years ago, it was still a struggle to get people on board with digital books. This was, of course, before Kindle. Before Nook. Before Kobo. By promoting our books at Smashwords, we were able to give people cheap or free options and show them this great new world that was waiting to be explored. But then came the slew of e-book readers. Then the e-reader tablets, the Nook HD and the Kindle Fire. And people began adopting e-books like it was the most natural thing in the world. Anyway… regardless of whether or not you’ve ever read an e-book or not, Smashwords remains one of the best places to find new books, especially during Read an E-Book Week. Pick up any titles of mine that you haven’t grabbed yet, and then surf around a bit. See what else is out there. Yes, some of it will be lousy. Go into any bookstore and pick ten books at random. I guarantee you at least one will be lousy, if not more. But I also guarantee you that you’ll find at least one book that is so outside the norm, so cleverly executed or well imagined, that you’ll find yourself hooked. The best part of working outside the traditional structure is that the rules are different, and in the self-publishing world, there’s room to stretch and break boundaries. To throw traditional formats and genres out the windows and invent new ones. Come join the ride. There’s amazing books being written. Trevor’s Song up for Grabs! Regulars around here know that Mary at BookHounds and I are both Rock Fiction lovers. We’re also friends, which isn’t much of a surprise when you think about it. We’ve got books and music to bond over, after all. So when this Share the Love hop came about, with the idea being that the participating bloggers would give away copies of undercelebrated books, Mary decided there was only one thing to do: Feature me and Trevor. 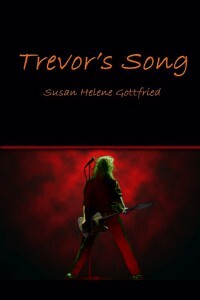 She’s offering a print copy of Trevor’s Song and three digital copies of it, as well — but I’ll sweeten the deal. If you’ve got Trevor’s Song and want one of the other books in the Trevolution series, ask Mary if you can swap it out. 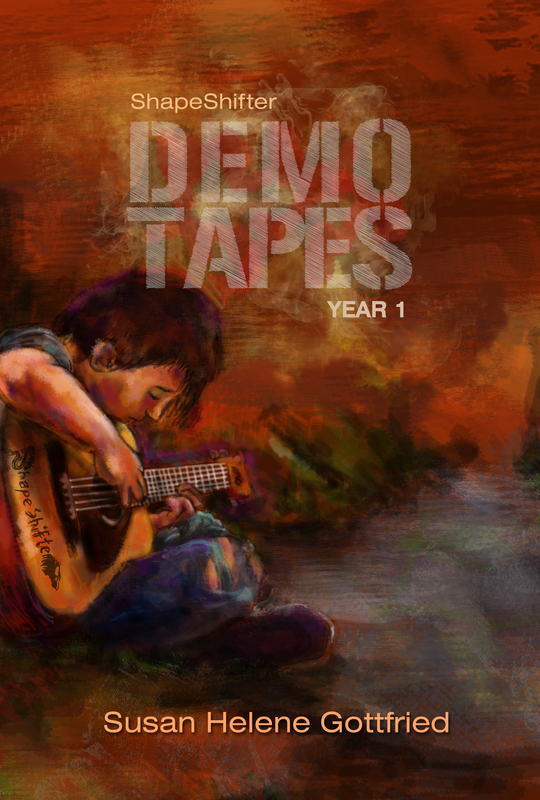 You may even want to get one of the retired copies of Demo Tapes 1 or 2 — the new covers are in the works! Go on over and enter! Last I checked, your chances were pretty good, but that was ten minutes after the post went live. Who knows how it’s doing now? And those of you who remember the old Win a Book blog I used to run, yes, I DO miss writing these posts! They belong in a different era. Time to retire them. Put some better covers on some great content. Pick up your print copies now, at Lulu, Amazon, B&N, or anywhere else you can think of. As of February 1, they’ll be gone. This cover will become a collector’s item — and you know you’re a collector of Trevor Wolff, right? What about the digital edition? Well, stay tuned for that. And more. You e-book readers are going to be very very pleased with what I’m cooking up. Yep, it’s one of my favorite months of the year: The Smashwords Summer/Winter Sale! Why Summer/winter? Because e-book readers live all over the planet, and on half the planet right now, it’s winter. I’m not sure I could ever adapt to snow in July, but maybe I could. It’d be quite the adventure to find out. Back to the sale… Head over to Smashwords. Pick up some of your favorite works of Rock Fiction, browse for some goodies, or even have some fun with the coupons I’ve set up for my own books. I know you guys have all seven, so why not take this opportunity to introduce a friend … or five… or ten… to the zany antics of Trevor, Mitchell, and the gang? Here’s a hint: all it’ll cost you is the time (mostly; you can afford a buck for the King, right?). This month is all about spreading the word, so let’s get that word spread, far and wide! Since I’ll be doing a booksigning at the Pennwriters conference in May, I’ll be picking up some print copies of the books to sell. If you need an autographed print copy of any of the Trevolution books, now’s the time to speak up and let me know! I hope to be back next week with a Featured New Book… but I need a book (other than my own!) to feature! This would have been the third year I’ve told you guys that all I wanted for my birthday was book royalties. We did it two years ago with Mannequin, then last year with King Trevor. I dawdled. Dragged my feet. Debated hiring an e-book formatter (the awesome Deena at e-Book Builders. Tell her I sent you. ), hesitated about asking the uber amazing Lakota Phillips if she’d step up for her boy and do the art again. Tried to do the formatting myself. Save your pennies… the price will be the usual: $2.99 e-book and $9.99 trade paperback (I hope). And yes! 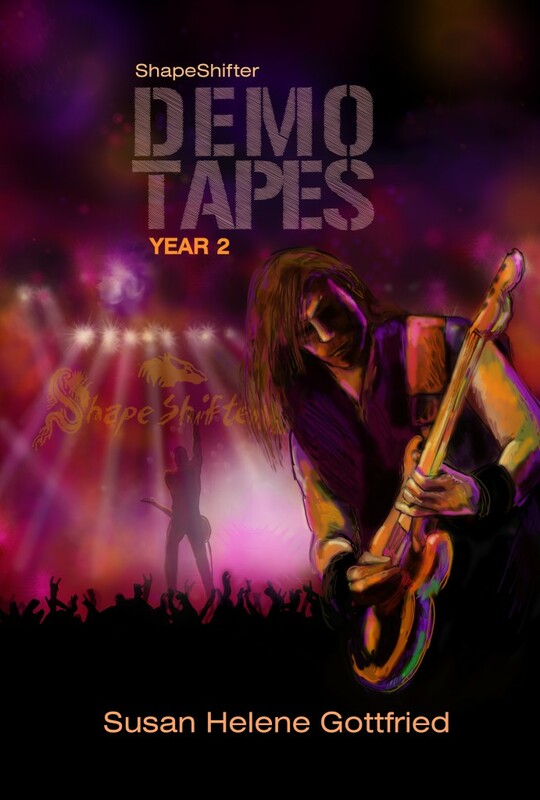 Because this will be the best-selling Demo Tapes anthology yet (no easy feat, since Demo Tapes 1 has been out since November 2008 and is still the top-selling anthology), I’ll be folding some of the royalties you guys generate into having Deena reformat Demo Tapes 1, 2, and 3. Lakota’s already on board to give 1 and 2 new covers, as well. Have I mentioned there WILL be a Demo Tapes 5?